Advising bereaved families in dealing with Coroner’s office…. 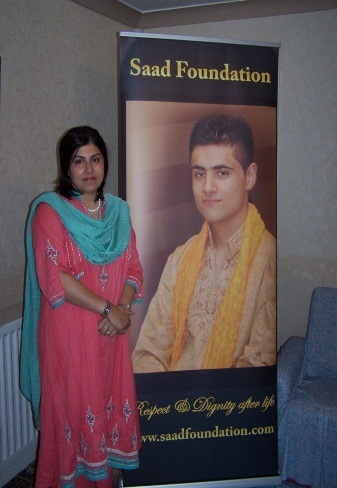 The SAAD FOUNDATION is a registered charity established in 2009, providing professional advice and help to bereaved families at their time of need. The charity has had a particular emphasis and focus on the introduction of imaging services, such as MRI and CT scanning facilities, as an alternative to intrusive post mortems. We understand how difficult it can be when dealing with public authorities such as the Coroner’s office, Police, GP’s and hospitals. Saad died on the 25th December 2008 at the age of 18years. He passed away in his sleep unexpectedly. He was not ill and had no medical issues. The family were distraught and the situation was made worse as it was a public holiday period. The Coroner wanted to carry out a post mortem which caused the family more distress. With some help from the Jewish Community and the Bolton Council of Mosques the Coroner agreed to allow Saad to be taken for an MRI scan in Manchester. The scan was conducted and nothing was found. The Coroner insisted on still going to an intrusive PM. This also found nothing and at the inquest a verdict of death by natural causes was recorded. This whole experience caused a lot of grief, anxiety and upset for the family. They felt badly treated by the system and the individuals within. The community questioned why things couldn’t be changed and the barbaric act of intrusive PM’s to be changed. A group of individuals from the community got together with the family and formed the Saad Foundation which has since been working on the introduction of imaging as a less intrusive means of determining a cause of death.